June 26, 2015 – A University of Colorado Boulder space center will fly high-tech hardware on the commercial SpaceX Dragon spacecraft launching to the International Space Station Sunday, the 50th space mission flown by BioServe Space Technologies since it was founded by NASA in 1987. 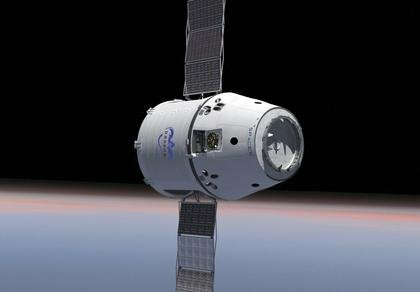 The SpaceX Dragon mission cargo includes two biomedical experiments supported by BioServe, which is headquartered in CU-Boulder’s Department of Aerospace Engineering Sciences. BioServe researchers and students have flown hardware and experiments on NASA space shuttles, the International Space Station, the now-defunct Mir Space Station and on Russian, Japanese and commercial cargo rockets. One experiment on the upcoming SpaceX mission is designed to better understand cell biology by charting the behavior of yeast cell cultures in microgravity. Because multicellular yeast colonies are similar to mammalian cell tumors, researchers hope to identify biological factors that may contribute to understanding health risks for human space crews and tumor behavior that could eventually benefit patients on Earth. The experiment, which will be conducted in a BioServe Commercial Generic Bioprocessing Apparatus, is led by Timothy Hammond of the Durham VA Medical Center in Durham, North Carolina. A second experiment involving BioServe hardware, being led by Allessandro Grattoni of the Houston Methodist Hospital Research Institute in Texas, is designed to help researchers better understand the mechanisms of molecular transport across tiny membrane channels. Such experiments will help scientists learn more about the release of molecules and drugs from human implants that someday could be used to treat a variety of diseases on Earth. This experiment is sponsored through the Center for the Advancement of Science in Space or CASIS, which focuses on utilizing the Space Station as a National Lab. BioServe has successfully collaborated with NASA, industry and other organizations to conduct ground- and space-based research to support the development of new scientific breakthroughs and technologies that benefit human space exploration and have commercially viable Earth-based applications. Since its inception BioServe has partnered with over 100 companies and performed dozens of NASA-sponsored investigations, said BioServe Director Louis Stodieck. “We continually are searching for spaceflight opportunities and new ways of conducting experiments in microgravity that will push the boundaries of both research and education,” he said.